Beautiful Living: TAG: Beauty This or That? TAG: Beauty This or That? Hi guys, I have a TAG post for you. I have really been enjoying tags lately and invite you all to join in on them. Feel free to link to your blog in the comments section below if you have completed any tags lately :) Anyway I got this from Corynlee, click here to visit her blog!!! · Blush or Bronzer? Neither? Although I think blush looks lovely. · Lipgloss or Lipstick? Um, probably lipstick. · Foundation or Concealer? Foundation - I ALWAYS wear it! · Neutral Eyeshadow or Colour? Definitely neutral eyeshadow!!! I love brown toned eye shadows and if I'm feeling adventurous I might wear a little bit of a metallic brown or gold-y colour. Have to give a shout out to my fave eyeshadow quad. The "copper chic" one from maybelline. Amazing, seriously! · OPI or China Glaze? Neither. · Long or Short Nails? This is a tricky one and as always I want to sit on the fence and say 'medium'. But I'm trying to be less indecisive to I'm going to go with short. · Acrylic or Natural? Natural - no doubt about it! · Brights or Darks? Both? · Flower or No Flower? No flower. · Perfume or Body Splash? Perfume......I don't know what body splash is though? · Lotion or Body Butter? Lotion because it is more practical. Have you ever tried using a body butter as a hand cream.......? 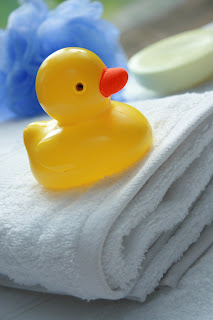 · Body Wash or Soap? Body Wash! · Jeans or Sweat Pants? I love lazing around in trackies! · Dresses or skirts? Most definitely dresses. I absolutely adore skirts on other people but I just cannot wear them. I feel fat and short when I wear a skirt! · Stripes or Plain? I like both and I kind of feel like this question depends on what type of fashion we are talking about. I have recently accumulated quite a lot of t-shirts with stripes on. BUT at the same time you can't beat a plain old t-shirt. · Flip Flops or Sandals? Sandals. · Studs or Dangly Earrings? Studs. I use to like dangly earrings but now I'm on the studs side of the fence. · Cowboy Boots or Riding Boots? Um okay? Let me think.....Riding boots can look cool but hey cowboy boots are pretty cool too! I don't really have a preference for either but if I had to pick one I would probably pick riding boots. · Jacket or Hoodie? Okay don't get me wrong, I LOVE LOVE LOVE LOVE LOVE hoodies but as I'm getting older I am also learning to love jackets so um, er, let me think.......I guess I will say jacket but I kinda feel like I am betraying my old lover. · Forever 21 or Charlotte Russe? We don't have any of these shops here in Oz. · Abercrombie or Hollister? Neither. Ditto above. · Bun or Ponytail? Bun. · Bobby Pins or Butterfly Clips? Bobby pins I guess, although I am tempted to say 'neither'. · Hair Spray or Gel? Hair spray. I hate to think what would happen if I tried to use gel. I have enough trouble with hair spray! · Long or Short? GAH!!! Another tricky question :( Both? · Light or Dark? Dark. · Side Sweep or Full Bangs? I'm on the side sweep team 100% of the way! · Up or Down? I'm lazy so I'm gonna have to go with up. · Rain or Shine?Shine....as long as it's not too hot. · Summer or Winter? Neither. · Chocolate or Vanilla? Chocolate......yummy!